With more than 40% new and revised materials, this second edition offers researchers and students in the field a comprehensive understanding of fundamental molecular properties amidst cutting-edge applications. Including ~70 Example-Boxes and summary notes, questions, exercises, problem sets, and illustrations in each chapter, this publication is also suitable for use as a textbook for advanced undergraduate and graduate students. Novel material is introduced in description of multi-orbital chemical bonding, spectroscopic and magnetic properties, methods of electronic structure calculation, and quantum-classical modeling for organometallic and metallobiochemical systems. 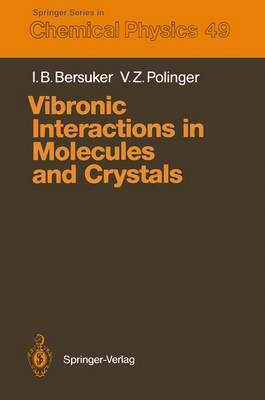 This is an excellent reference for chemists, researchers and teachers, and advanced undergraduate and graduate students in inorganic, coordination, and organometallic chemistry. 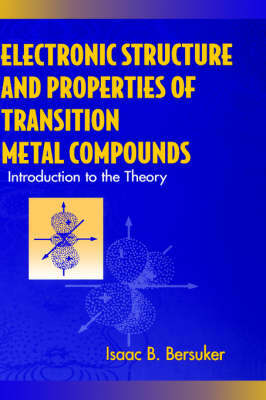 Buy Electronic Structure and Properties of Transition Metal Compounds by Isaac B. Bersuker from Australia's Online Independent Bookstore, Boomerang Books. Isaac B. Bersuker, PhD, DSc, is a Senior Research Scientist and Adjunct Professor of Theoretical Chemistry at the University of Texas at Austin. He is a member of the Academy of Sciences of Moldova (former USSR) and the recipient of numerous awards, including the Medal of Honor (Republic of Moldova), David Ben-Gurion Medal (Be'er Sheva University), Chugaev Medal (Russian Academy of Sciences), and the 1979 State Prize Laureate (USSR).